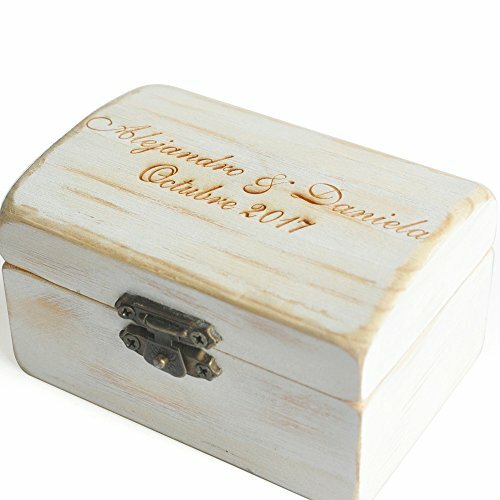 A fine and striking jewelry ring bearer box, this lovely and unique product will do its best when displaying your wedding rings before your guests and also keep it safe at all times! 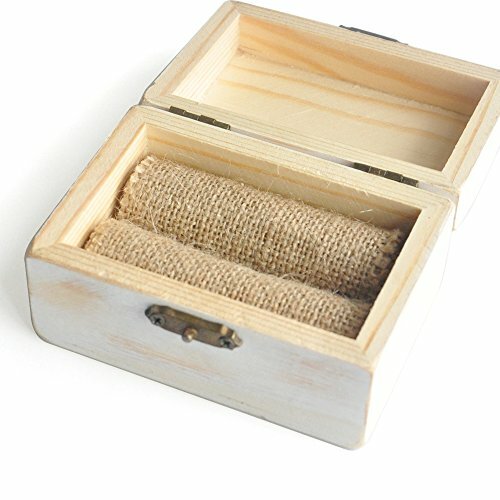 It has been manufactured out of a superior and strong wooden material in order to protect its special contents. It is a chic and dainty white color with beautiful yellow hues. 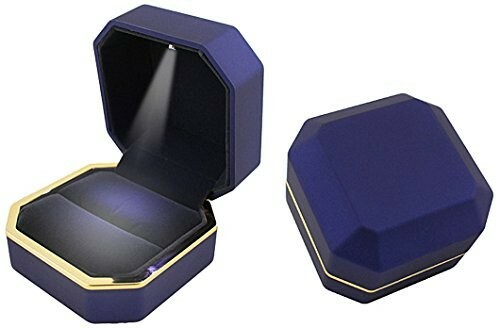 The entire box has been neatly polished, thus achieving its delicate and graceful look. 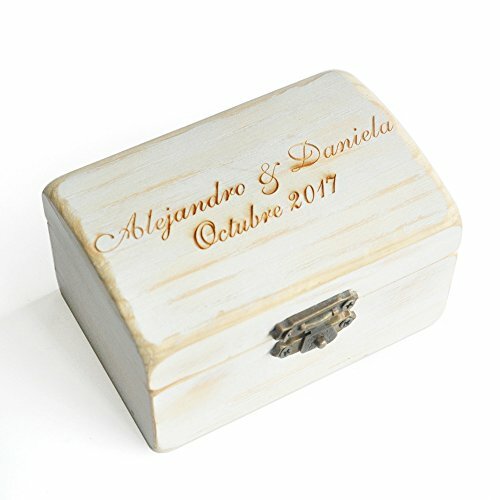 In addition to all of that, you will be able to customize your box with your names, date, initials or anything similar, therefore forever marking it as your own and making it completely unique! The handle is also a strong and trustworthy latch for more safety as well. 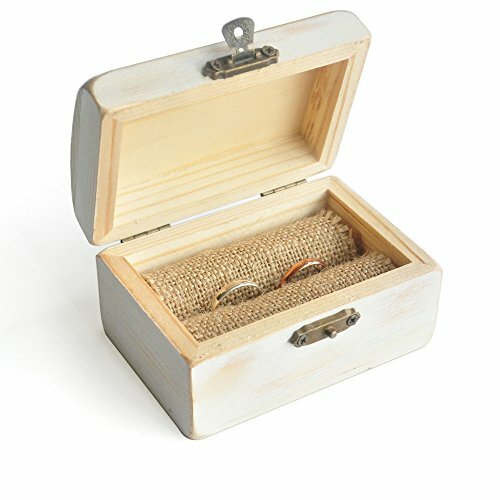 The interior gives off a rustic vibe as well, it features two burlap rolls where you can easily accommodate all sorts of rings or jewelry items, but most importantly, both of your wedding rings will be readily and stylishly stored inside. 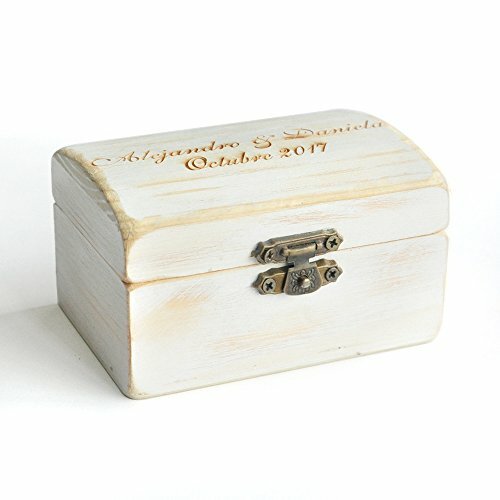 This astonishing ring bearer box is the perfect choice for anyone who wants to have their rings displayed in a totally unconventional and inventive way! 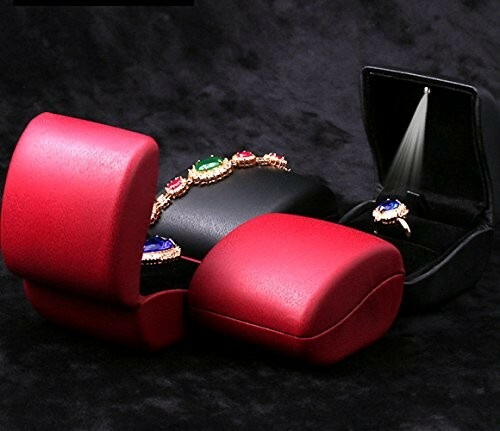 It has got a great and attractive design, strong construction and it is surely going to impress everyone at your wedding with its vintage and one of a kind look, so it’s going to be totally worth it! 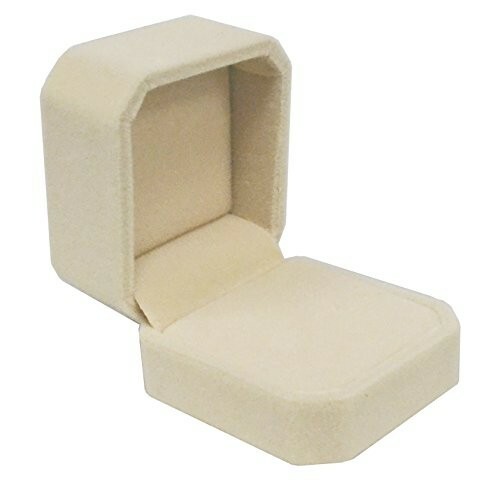 The measurements of this item are the following: 5.1 x 3.1 x 2.8 inches and its weight is 3.5 ounces.